December 23rd we decided to take a ferry from central Istanbul up the Golden Horn to Balat, the area that housed the majority of the city’s Jewish population. As we left the ferry at the municipality of Fatih, we immediately found ourselves by the church dedicated to St. Stephen. It is one of two church buildings serving the Bulgarian minority in the city. The changing fate of this vast metropolis, as a battle ground for major religions and cultures, means that you find a large number of minorities that moved here during the ages. Bulgaria remained a part of the Ottoman Empire for 500 years, and a Bulgarian minority gradually formed in the Empire’s capital. Bulgarians were, however, not allowed to form their own congregation before in the middle of the 19th century. 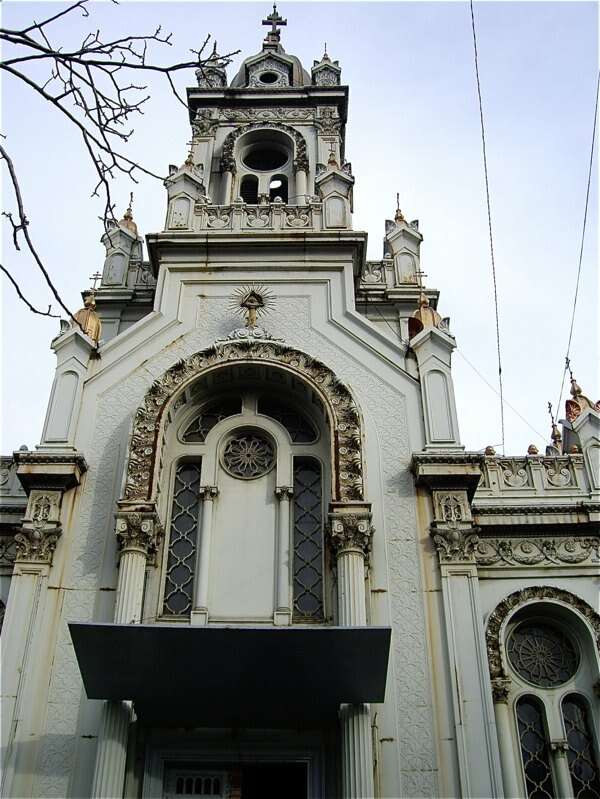 A separate Bulgarian Church was inaugurated in 1849. 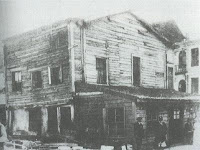 It was located in a house (right) on the same site as the present church donated by Prince Stefan Bogoridi a high ranking Ottoman statesman of Bulgarian origin. The wooden church was replaced by the present building in 1898. The whole building was built from pre fabricated iron elements transported from Vienna and assembled in 1898. This mode of construction was chosen as the ground could not hold a heavy concrete construction. It seems, as everything else in this part of Istanbul, worn and shabby, but buildings in Fatih and Balat hold a certain beauty through their age. When we entered the Church of St Stephen we found the interior both dark and mysterious. 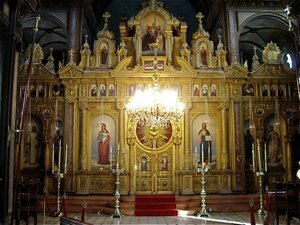 The interior was very ornate and colourful compared to the slightly decaying exterior and it had, as all orthodox churches, a beautiful gilded iconostasis depicting saints important to the Bulgarian congregation. The church felt deserted, as there were just a few people present, unlike the enormous crowds gathering in the countless mosques scattered around the large city. The Church of Saint Stephen is a faint memory of a time when it seems the Turkish capital was the centre of a vast empire and was much more heterogeneous, socially, culturally and religious. A trip to Balat is a memorable and highly recommendable experience. Use the ferry up the Golden Horn to get there. The ferry is a welcome alternative to a taxi driving recklessly through the heavy traffic. It drives slowly and quietly upstream and there are always fellow tourists to talk to. TTG Travel Agency is a leading travel agency and tour operator in Turkey with more than seven years of professional travel service istanbul tours We were so impressed with ephesus tours our Turkey tour. http://www.packagetoursturkey.com - http://www.touroperatoristanbul.com We visited many beautiful places, stayed at many nice hotels turkey tours and got on well with our Cappadocia tours guide. All the staff was welcoming and pleasant. It’s most memorable trip that we’ve ever had. Thanks It was just great! So many historical istanbul travel places. 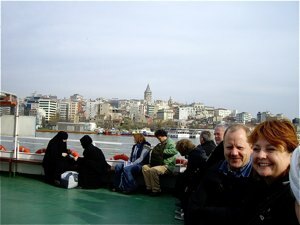 I really liked to visit istanbul tourism the historical places that made this great country. Thanks for everything.